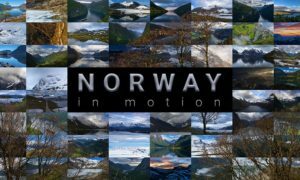 Northern Skies 4K is a short film to show the beauty of the area north of the polar circle in winter time. A Voyage from disjointed sequences, to 1st prize winning time-lapse! Aotearoa, the Maori name for New Zealand. Stephen Patience showcases his own time-lapse dedicated to a fantastic land of marvell! 2 years of timelapse photography into one of the best in 2015 video!